Noel Gallagher: Radiohead "have been making the same record since Kid A"
When Noel Gallagher disses you, it means he really likes you. Well, not all the time, but it's true in the case of Radiohead. 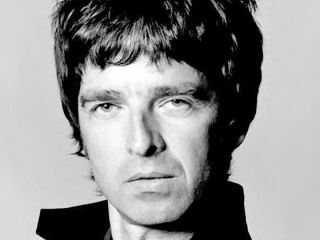 Oasis's main songwriter and lead guitarist was giving an interview recently, during which he offered praise for the Oxford band but also said, "The biggest criticism that the music press have against us [Oasis] is that we're not Radiohead." Gallagher added: "Correct me if I'm wrong, they've been making the same record since Kid A, have they not?" Turning positive, Gallagher explained what he sees as the main differences between the two groups: "I like them. Every time I see them live they blow me away, but you know, it's kind of [like] we make very accessible rock 'n' roll music and they constantly make difficult electronic records." On the subject of 'difficult' records, Gallagher revealed that Oasis's approach is strictly off-the-cuff: "It's not a conscious thing where we're like, 'Right, we must write something avant-garde here.' If it happens naturally then we'll do it. If it doesn't then we won't. We do like sitting around strumming acoustic guitars."